A pleasure inducing assortment of two dozen large gourmet cookies, freshly baked by Flo’s Tropical Bakery. 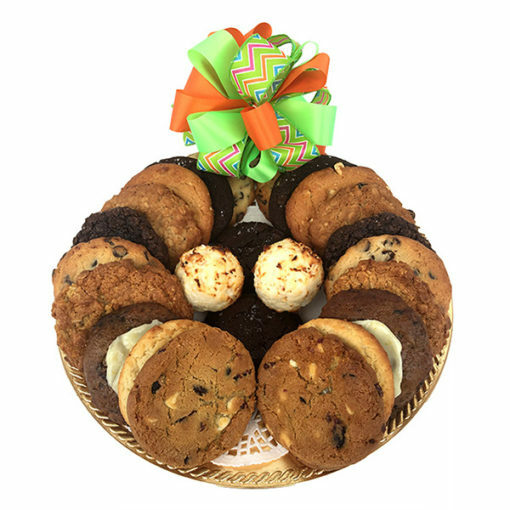 Presented on an attractive tray wrapped in cellophane and tied with a multi-colored bow. This is a real pleaser.